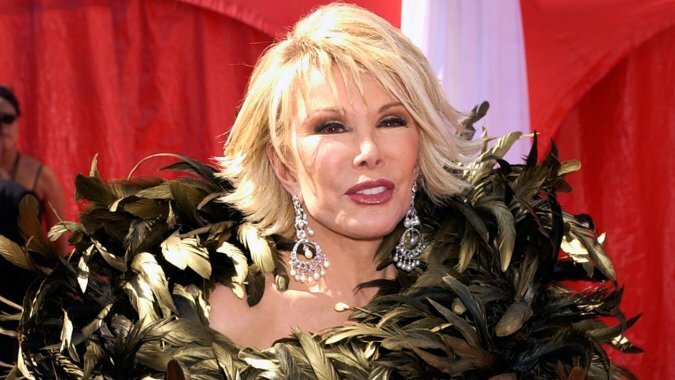 Joan Rivers Left Out Of The Oscars' In-Memoriam Tribute, Academy Releases Statement Addressing The Issue! - T.V.S.T. Joan Rivers may not have been known for her work in the film industry, but there is no denying her presence in Hollywood. You either loved her or hated her, and those people who spark that much passion are usually pretty special. The 81-year-old comic, who died last September, is often credited with bringing the ‘red carpet’ back to life. The fact that she was such a big player on the red carpet makes last night’s snub even more puzzling. The ‘In Memoriam’ segment kicked off with a touching speech by Meryl Streep, and then we saw photos of every “important” person who passed away recently, including, Mickey Rooney, Robin Williams, Richard Attenborough, and many more. 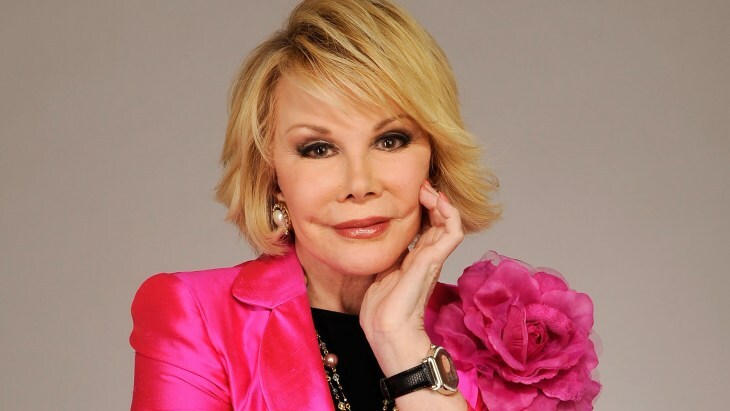 Joan Rivers is among the many worthy artists and filmmakers we were unfortunately unable to feature in the In Memoriam segment of this year’s Oscar show. She is, however, included in our In Memoriam gallery on Oscar.com. Pretty typical response, but let’s be honest here, they obviously left her out for a reason. There were a few “non-film” people who made the cut, and they weren’t nearly as well-known as Joan Rivers. But that is the problem with this silly segment. You can’t possibly include every single person who has died. Joan Rivers wasn’t the only name left off the list. We know the Academy has informed the audience to hold their applause until the end of the tribute, to avoid giving the impression that it’s just a popularity contest. But that’s honestly all it is. They should keep everything online, where everyone can be included. And if someone extremely influential does pass away, then honor that person’s life during the televised portion of the event. If you are going to make it a popularity contest, you might as well do it right.